Mark your calendars! Disney has finally released the information for booking this highly anticipated restaurant. Be Our Guest Restaurant reservations can start being made at 7 am on Aug. 20! Reservations can be made by calling (407) WDW-DINE on Aug. 20. Starting on Aug. 22 you'll be able to book online at disneyworld.com/dine. Reservations will be available for dinner starting Nov. 19 during the preview. The official opening date is Dec. 6. Be Our Guest Restaurant sits at the bottom of Beast's castle and will feature classic French inspired cuisine. 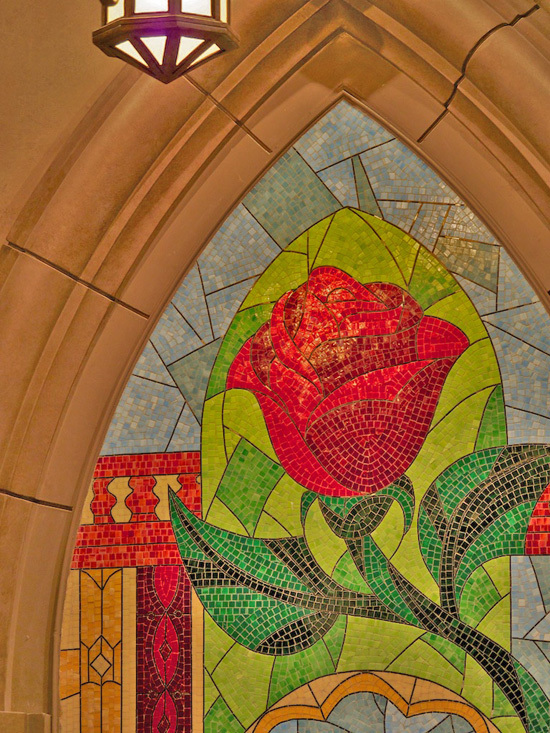 Three themed dining rooms will make up the restaurant: the West Wing with the "enchanted rose", the Rose Gallery with life-size Bell and Beast dancing, and the Ballroom with twinkling chandeliers. Some of the specialties on the menu are Croque Monsieur and tuna Nicoise for lunch, and thyme-scented pork chops and French onion soup for dinner. During lunch the restaurant will offer quick service menu items that guests will order from computerized terminals. Once your order is placed, you'll take a seat and wait for your food to be delivered. What's even better, the plates are china and not paper! Dinner will be your typical table service. The Disney Dining Plan will be accepted and use one quick-service credit for lunch and one table-service credit for dinner. There is no word yet on whether they will accept Tables in Wonderland. For more information on Be Our Guest Restaurant click here. We have booked our reservation for December. Can't wait to Be their Guest!